Talk about poorly timed. 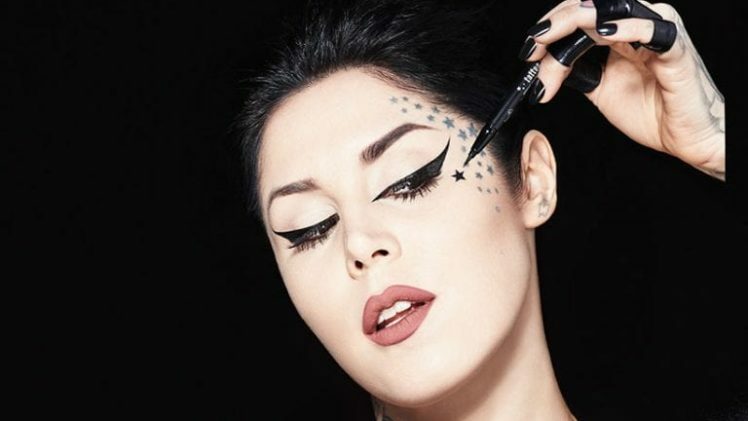 On a new clip from the upcoming season of “LA Ink,” Kat Von D has a special surprise for her fiance, Jesse James. It’s a tattoo for him. And no, it’s not his initials or even his name. It’s a big old portrait. Of his fifth grade yearbook photo. “You’re crazy!” he exclaims. (Which, yes, she is.) “I love it — I love you.” Of course, the couple is now dunzo—Kat tweeted on Monday that they have broken up. Which had TMZ wondering—is she now regretting that tattoo? But Kat swears she isn’t.